Elk and Deer naturally shed their antlers. 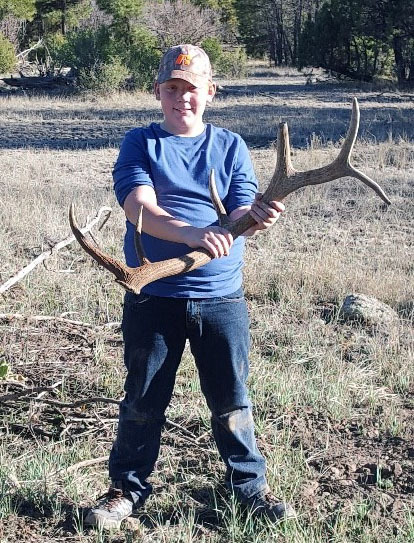 For many years Richard “hunted” for shed elk and deer antlers. He sold them to an antler buyer for extra money. When Richard and Jennifer married; Jennifer wanted antler lamps in their home and Richard got to work creating. While Richard was working on a chandelier for their home; Jennifer was poking around his workshop where she found two shaven pieces of antler. She asked him to drill a hole each of them, so she could make earrings with them. Richard thought she had lost her mind, but because she was persistent, he gave in and she began wearing her new antler treasures. Jennifer’s friends began seeing the earrings and placing orders; she began selling their beautiful hand created designs at local bazaars & craft shows. 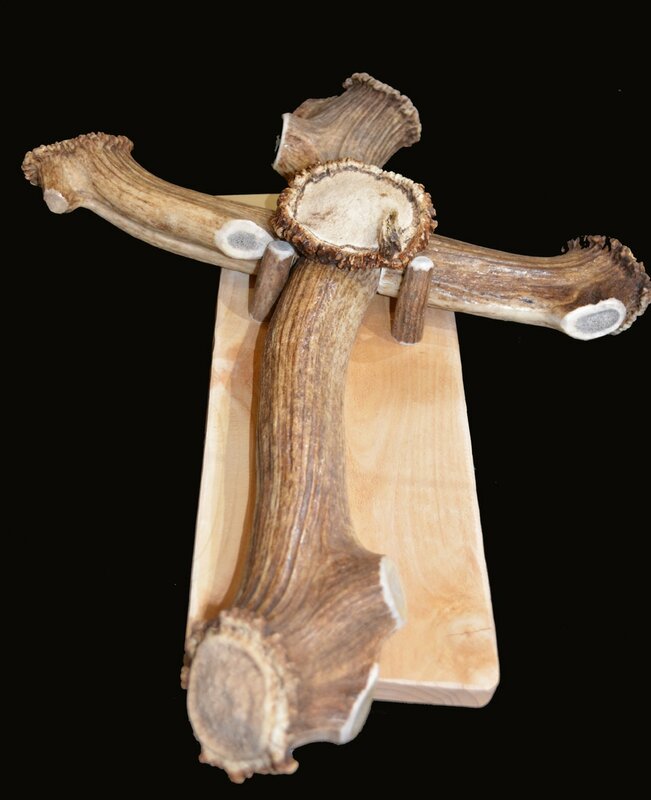 All of R & J Cox Antler Creations are made from antlers that they and their two children (Bryton 12 & Mikayla 11) find in the outlying areas of Williams, AZ. Richard, Jennifer and their two children hike the outlying areas of Williams searching for shed antlers. Every piece of artwork created is with antlers found by the Cox family.